"Downtime" is a threat to every enterprise, which would affect productivity. Patch Manager Plus offers "Failover Service", to overcome these challenges. You can configure a secondary server, which will act as a standby server, whenever the primary server fails. This will ensure, that the desktop management system is not aborted due to any hardware surprises. This document will explain you the steps involved in configuring the failover service. This feature is supported for computers running Windows XP and later versions. 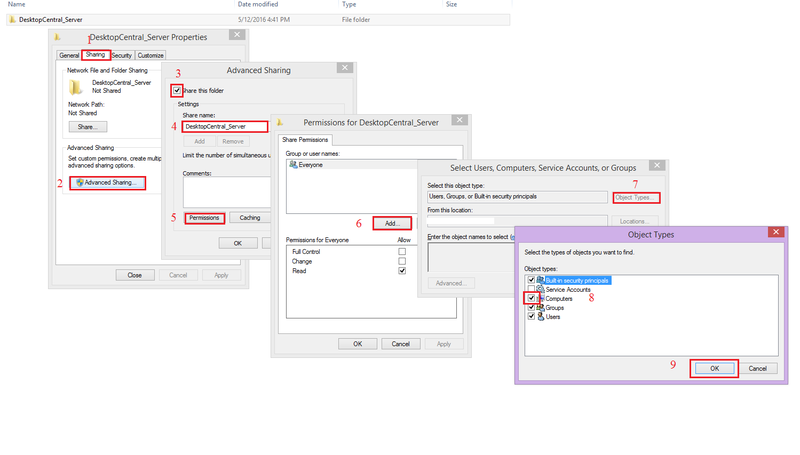 Failover is supported only for MSSQL database. You should have purchased the license for failover and uploaded it in the product. You need to ensure that the database, patch store, and the software repository are installed in a remote computer. This will ensure that the database, patch store, and software repository are not affected when one of the servers is down. You should also ensure that the IP Address, that you configure for the primary server and the secondary server is "Static". So, that the communication will reach the appropriate static IP address. Ensure that the Patch Manager Plus's primary server and the secondary server belongs to the same domain and are located in the same subnet. If you have configured NAT settings to redirect all communications to a local IP, you will have to ensure that the redirected communications reach the virtual IP address. You can configure failover service from here: Patch Manager Plus web console -> Admin - > Failover Server. You will have to specify the Primary and Secondary Server's IP address. You will have to provide a virtual IP address, which could actually be updated to the agents. Every communication from the agent, the distribution server will reach the virtual IP. If you have configured NAT settings to redirect all communications to a local IP, you will have to ensure that the redirected communications reach the virtual IP address. Execute "Clone_Primary_Server.bat", to clone and create a zip folder which contains the server components. A new zip file "Product.zip", will be created in the "<Installation_Directory>/ManageEngine/DesktopCentral_Server>" folder. Access to the computer where Patch Manager Plus Primary & Secondary Server are installed. Permission for the admin user to manage both the Patch Manager Plus Primary & Secondary Server. The below-mentioned steps should be performed on the primary server first and the same should be performed on the secondary server during activation. Right click on the folder and choose Sharing tab. Specify the name as PatchManagerPlus_Server. Under Enter Object Name, specify the secondary server name and the username with Admin privileges. Click share permission and select user and computer and ensure that Full Control is enabled. Click OK, to complete the process. If Patch Manager Plus server is installed in Windows 10 or Windows Server 2012 R2, you will have to ensure that the permissions are modified here, (Right click) Patch Manager Plus folder -> Properties -> Security -> Edit Permissions -> Edit -> Add (add the name of the secondary server). Download the Configure_Failover_Server.bat from the product: Patch Manager Plus web console -> Admin -> Failover Server. 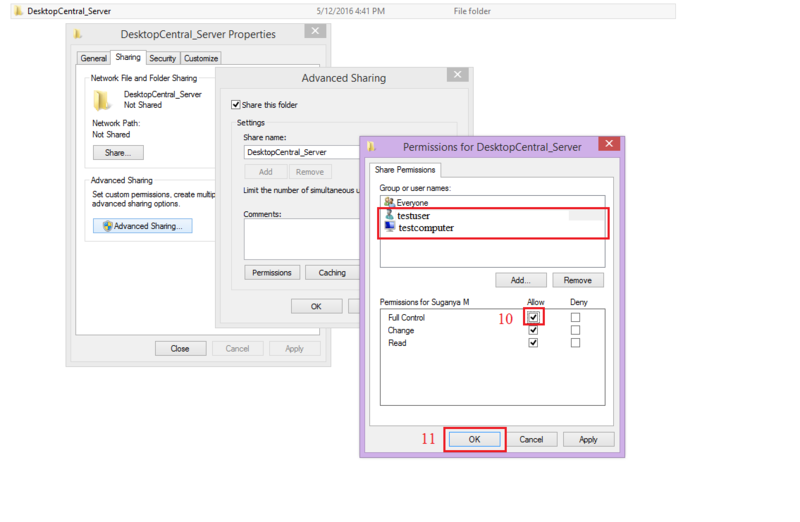 Repeat the steps for sharing, as mentioned above on the secondary server and ensure that you provide the name of the computer, where the primary server is installed, in step 10. You can now see that the server components are replicated to the secondary server.